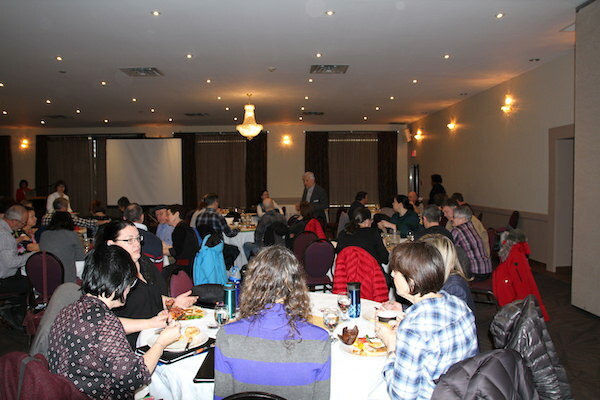 Our annual workshops feature an excellent team of both local and provincial presenters, along with Johnson’s Insurance representatives. 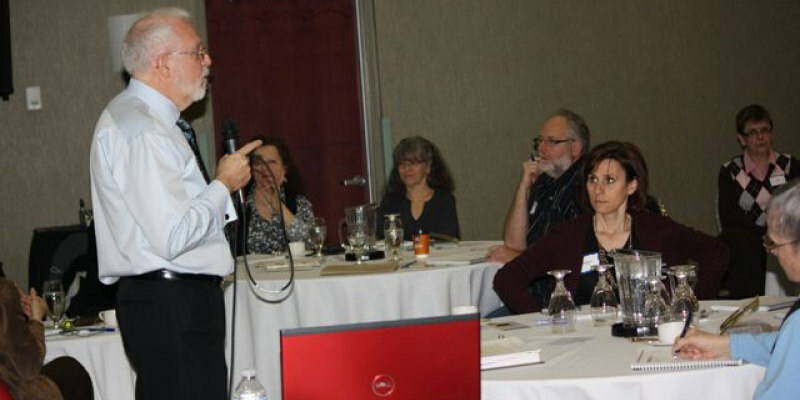 2019 Retirement Planning Workshops more popular than ever! 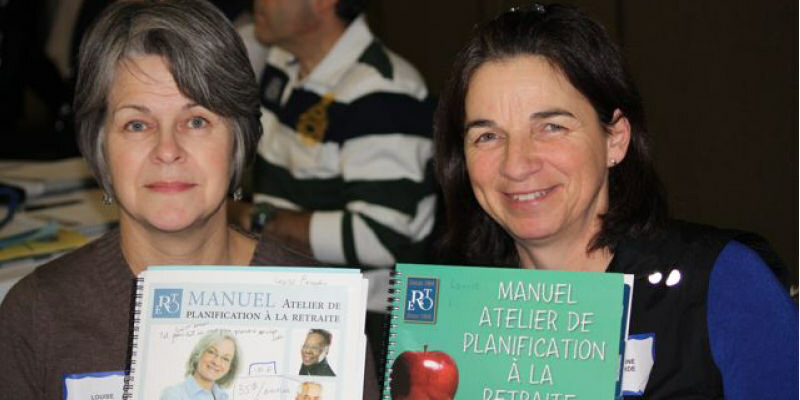 February 23, 2019—Once again, thanks to many volunteers, RTO/ERO, District 27, Ottawa-Carleton held a very successful Retirement Planning Workshop (RPW) in French and in English at the Centurion Conference and Event Centre. There were 220 participants at the English workshop while at the French workshop there were 96 participants. Participants were served a full breakfast upon arrival at the Centre. President Dawn Paxton introduced provincial presenters, Anya Rampersad of RTO/ERO and Dominic Morrone of Johnson Inc., while Roger Lalonde did a similar introduction of Ashweena Govindaraju of RTO/ERO at the French RPW. 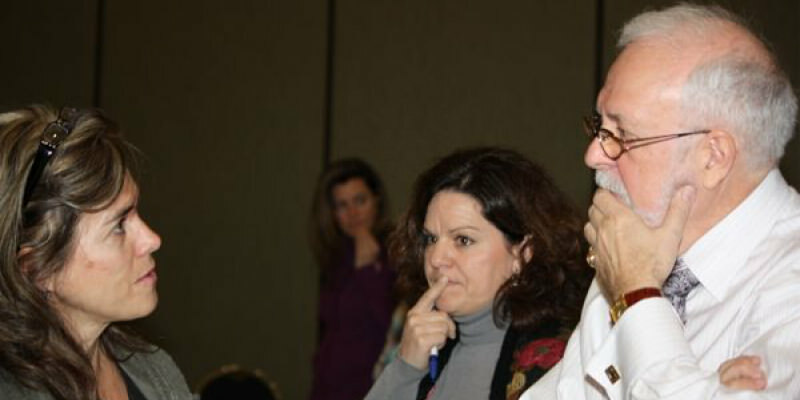 Both Dawn and Roger talked about the different activities in the district. Roger also added the perspective of a retiree in the district. 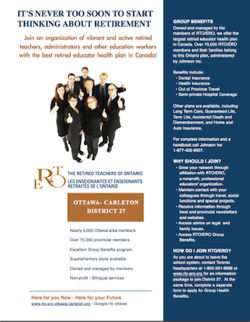 RTO/ERO is more than a health insurance! Stephen Wong, Provincial Director of Health Benefits shared with the district that attendees from both workshops felt extremely welcomed by the volunteers at check-in and really enjoyed the ease of the check-in process. Participants also followed up with staff that they wanted to immediately activate their RTO/ERO membership, and to ask further questions about financial planning. Many attendees expressed their excitement about being the first group to receive the pad folio package and many attendees requested additional RPW manuals to share with colleagues. 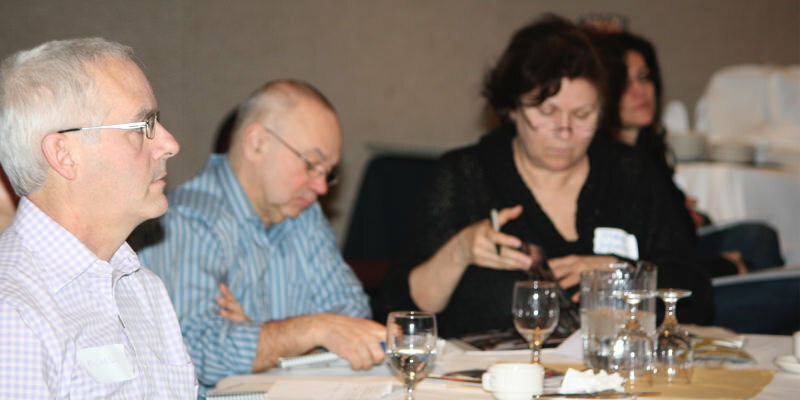 All those who attended the RPW’s held in Ottawa will be immediately enrolled as members with their consent. 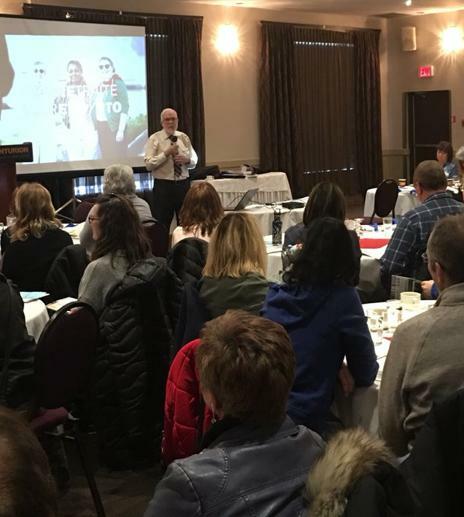 The next District 27 RTO/ERO RPWs will be held on Saturday, February 22, 2020, at the Centurion Conference & Event Centre, 170 Colonnade Road Ottawa. Check-in will start at 8:30 am, the workshops will start at 9:00 am and end at noon. Please share this info with colleagues who are about to retire. 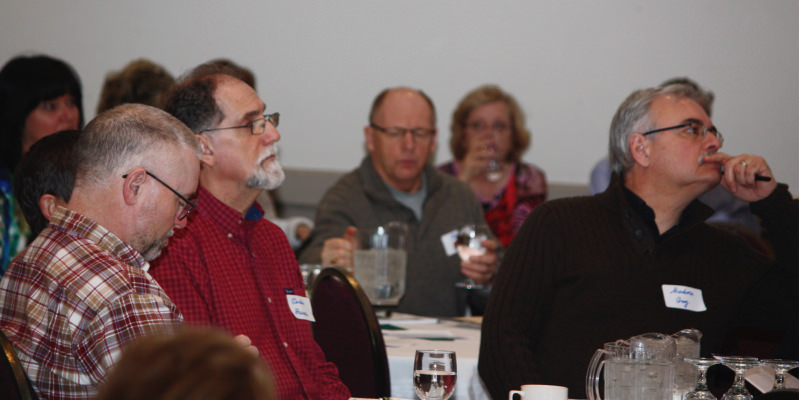 2018 Retirement Planning Workshops attract largest crowds ever! 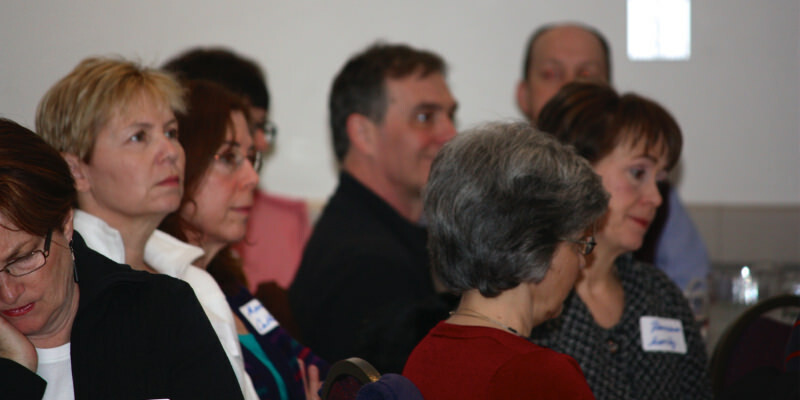 February 24, 2018—This year RTO/ERO District 27 organizers were overwhelmed by the largest ever number of registrants to turn out for its Retirement Planning Workshop. There were 81 participants for the French session and 252 for the English session. Both workshops were filled to capacity. It was a challenging task with so many registrants but we met the challenge. RTO/ERO volunteers arrived before 8:00 am to help set-up the registration tables and the two conference rooms. District President Terry Craig greeted people coming in and directed them to the appropriate registration tables. Provincial President Martha Foster brought greetings and a heartfelt welcome to all. The sessions given in English by Stephen Wong, RTO/ERO Director of Health Benefits and in French by Ashveena Govindaraju, RTO/ERO Manager Health Benefits and Roger Régimbal, Chair of the Pension and Retirement Committee. 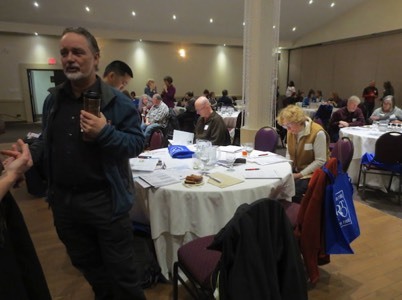 They spoke about OTPP, OMERS and CPP pension plans as well as the many other personal and financial considerations that future retirees have to weigh before making the big decision to retire. RTO/ERO Health Benefit Group plans available to future retirees when their current employer’s benefit plan terminates upon retirement were also presented. The day ended with a luncheon buffet served at twelve thirty. The staff of the Centurion Convention Centre were very helpful. They shared their expertise on the most efficient way to set up a buffet. The food was excellent and this is why some people even went back for seconds. All participants received a complimentary gift card upon submission of their evaluation form. Two of the participants were the lucky winners in the draw of two iPad tablets. As a bonus for attending the workshop, those who signed up to become members of RTO/ERO on the spot received free RTO/ERO membership for 2018. A number of participants also submitted their group insurance application. Special thanks to all the volunteer Board members for making this 2018 RPW another successful event. 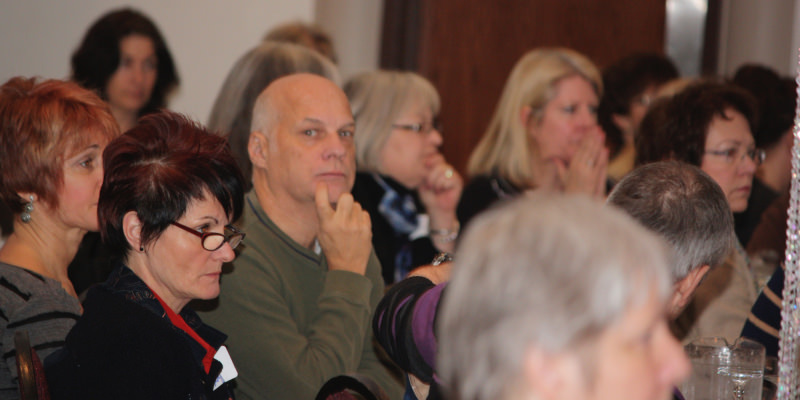 Centurion Conference and Event Centre, Ottawa February 18, 2017 — The organizers’ concerns about having a low turnout because of the Family Day long weekend proved in vain as over 130 future pensioners turned out for both the French and the English sessions. RTO/ERO volunteers came in at 7:00 A.M., to fill the registration bags and helped set-up the registration tables. District 27 President Roger Lalonde, Past President, Norbert Boudreau and 1st VP Terry Craig greeted people coming in and directed them to the appropriate registration tables. 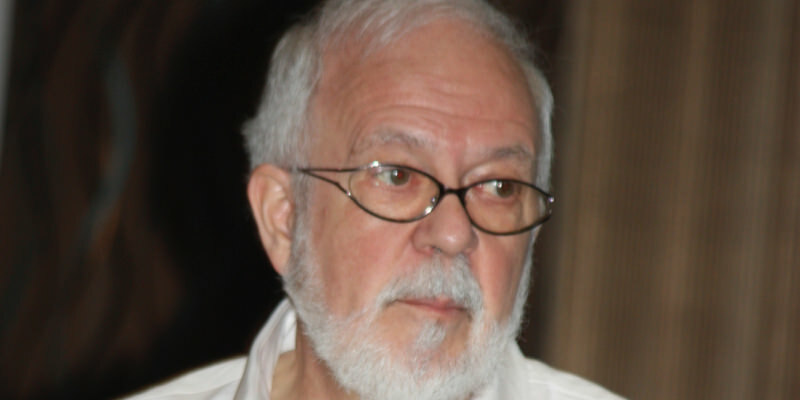 The morning sessions beginning at 9:15 A.M., given by Sue Jones in English and by Roger Régimbal in French. They spoke about OTPP, OMERS and CPP pension plans as well as the many other personal and financial considerations that future retirees have to weigh before make the big decision to retire. The morning session ended at noon. The Centurion Centre staff was very helpful. They shared their expertise on the most efficient way to set up a buffet. The food was excellent, and many people went back for seconds. The afternoon session started at 1:00 P.M. with guest speakers Stephen Wong and Ashveena Govindaraju from Johnson Inc. who spoke about the RTO\ERO Health Benefit Group plans available to future retirees when their current employer’s benefit plan terminates upon retirement. All participants received a complimentary gift card upon submission of their evaluation form. Two of the participants were the lucky winners in the draw of two iPad tablets. Special thanks to all the volunteer Board members for making this 2017 RPW another successful event. Please tell your colleagues who are contemplating retirement within the next few years to consider attending these well-regarded information sessions. Presentations are offered in English and in French in different rooms. Upon request, sign language interpretation is available in either language for the deaf and hearing impaired.